Swarovski Pointiage Swan from the Swarovski Crystal Journey has sold! Last week, we were receiving information from crystal fanatics on board the Swarovski Crystal Journey about their travels and experiences during the week. One item of notice was the Swarovski Pointiage Swan that would be auctioned off at the gala following the cruise. Unique chance to acquire one of only 25 pieces worldwide of the stunning SWAN at the SCS Crystal Journey Gala dinner on the 25th of August 2012 in Wattens. This stunning Swan is one of only 25 pieces created in exclusive PointiageTM to commemorate the 25th anniversary of the SCS. It has been designed solely for auction purposes in order to raise funds for charitable causes close to the heart of the Swarovski Company. This object of superb craftsmanship has been created by Swarovski artists, using 33.351 crystals. This very special masterpiece weighs 1.215 g and measures 16.6 cm in length and 10.6 cm in height. Gifted artisans dedicated more than 140 man-hours to individually hand set each crystal – displaying the Swarovski family tradition of excellence. 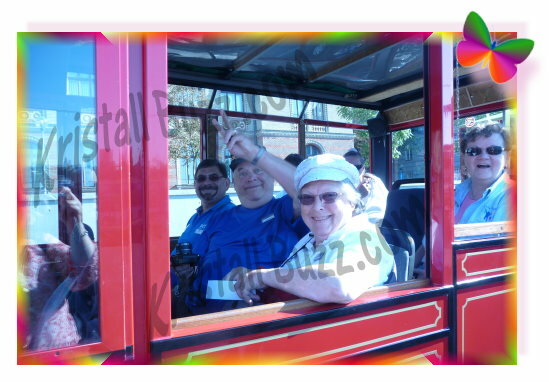 Exclusively for the guests of the Crystal Journey 2012 we reserved one fo the desirable SWANS. Only 25 pieces exist worldwide, assigned to the Swarovski sales offices according to strict rules. In 1988 a gracious swan replaced the edelweiss as the Swarovski logo in order to express the beauty, purity, adaptability and strengths of Swarovski crystal. The swan – pure, white, noble and elegant in appearance, is a symbol of metamorphosis which is appropriate to Swarovski’s transformation of crystal throughout the company’s 117 years of existence. Design and creativity aligned with technological virtuosity has enabled Swarovski to position crystal as one of the most exciting, versatile and modern mediums of our age. For Swarovski and the SCS, THE SWAN, expresses all these values and sentiments and we hope this Special Edition will add sparkle to the life of the proud owner of this unique masterpiece. The starting price for the auction of this stunning SWAN is EURO 4’000. During the gala, the silent bid of 18’000 EURO (roughly $22,600 USD) was accepted from a collector residing in Australia. Congratulations to the winning bidder! We have learned that the other Pointiage Swans (not even yet completed) will be auctioned off in the next 12 months with proceeds going to various charity organizations. What is the Dot by the Swarovski Swan Logo on Crystal Figurines? 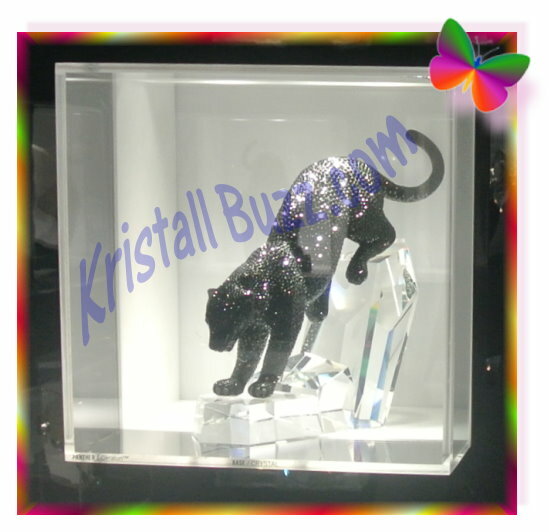 When collectors and crystal fanatics are considering the purchase of a crystal figurine, they most certainly want to see a Swarovski logo on that figurine to feel confident the item IS Swarovski. 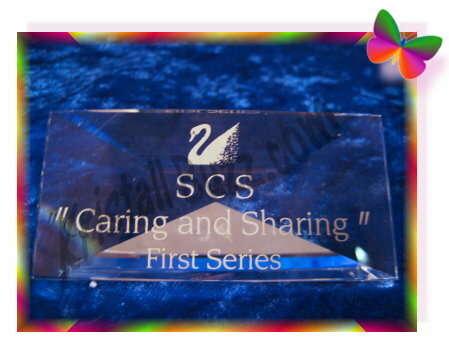 Collectors naturally expect to see the Block SC logo or Swan logo on the Silver Crystal figurines. Quite often, the Swan logo is underneath the figurine and is not visible unless the figurine is turned upside down. But sometimes, the logo is strategically placed elsewhere on the figurine. The Grand Piano with Stool is an excellent example of the Swan logo being placed above the ivories. And it is not unusual for the Swan logo to be difficult to see. When the base of the figurine is frosted, like the birds in the “Up in a Tree” series, the Swarovski Swan can be very hard to find since there is such little contrast between the logo and background. Sometimes the Swarovski Swan is very crisp and defined, and other times, it is a bit fuzzy, with the swan appearing a bit ‘thicker’. Just a handful of times, we have seen figurines with the Swarovski swan facing right, instead of left. However, just recently, we had a client ask a question about a ‘dot’ near the swan. I knew the figurine had been inspected 2 times before it shipped, so I was confident that the ‘dot’ that I did not specifically recall seeing, was not a chip. Nontheless, I did not have a definite answer. 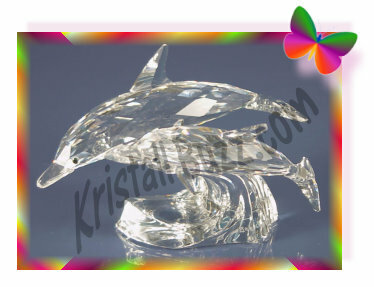 I did offer the possibility that something ‘occurred’ when the Swarovski Swan was applied to the figurine, but did not have an accurate answer to the client’s question…..that is until I checked with some other Swarovski experts. So, what did the Swarovski experts have to say? Here is what I have learned about the dot near the Swarovski Swan logo. The dot indicates that the product was finished or glued in the central warehouse in Leichtenstein. The absence of a dot means that the product was finished in Wattens, Austria. 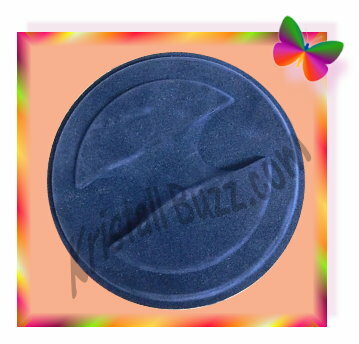 Additionally, it is suggested that the location of the dot on the product is unimportant. 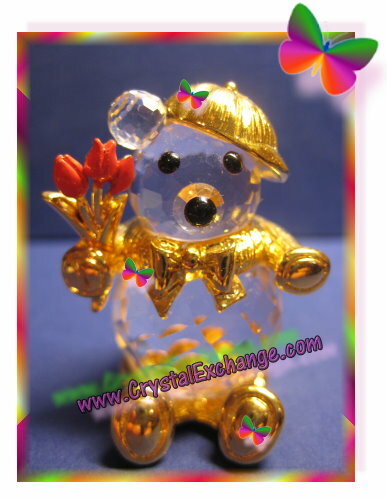 So the next time you clean your crystal figurines, or purchase a new one, have a look at the Swan logo and see if you have Swarovski crystal figurines finished in Leichtenstein or Wattens! The final crystal figurine in the Swarovski ‘Caring and Sharing’ trilogy was the Swarovski ‘Amour’ Turtledoves. 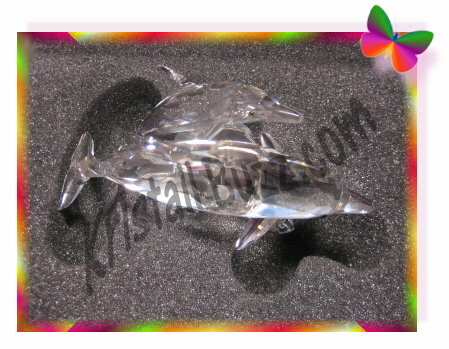 These Turtledoves were a lovely crystal figurine, for the SCS member to add to the Swarovski colletcion. In addition to the figurine, Swarovski provided collectors the opportunity to buy an optional display stand made specifically for the 1989 SCS annual edition. 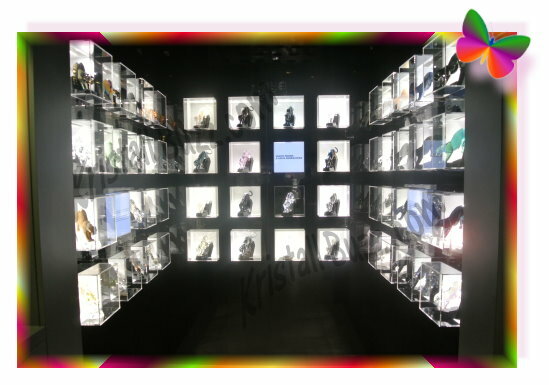 The Swarovski Turtledoves Stand is primarily thin plastic with a cardboard base underneath. The SCS Turtledoves Stand is blue with soft flocking on the top. The underside is black cardboard. The indentations on the top are an exact complement to the frosted Turtledoves branch. The Stand for the Swarovski Turtledoves Amour can be found using reference # DO1X891S, which is used by Crystal Exchange America. 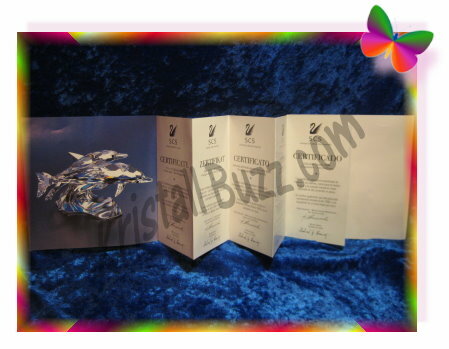 The Swarovski Turtledoves Stand is not shown in the Warner’s Blue Ribbon Books on Swarovski Price Guide. 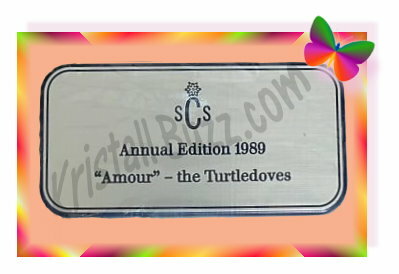 Using information shared from our clients as well as transactions completed, it seems that the Swarovski Turtledoves Stand and Swarovski Turtledoves Plaque were sometimes sold as a pair. 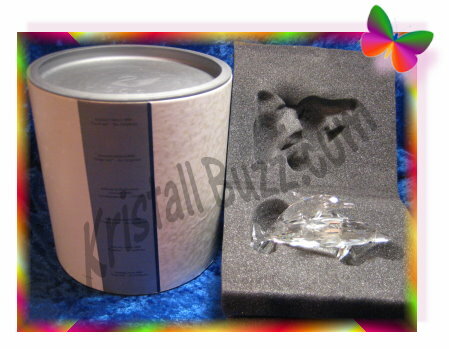 Crystal Exchange America has seen just a couple of them that come together, in a little Swarovski box that matches the silver / blue design of the SCS Swarovski Caring and Sharing boxes used for the Lovebirds and Woodpeckers (Remember, the Turtledoves box is a white cylinder). The SCS Swarovski Turtledoves Stand is not effortless to find in good condition. It is not uncommon to see the outer edges fraying / cracking, so this is something to be aware of when purchasing. Crystal Exchange America has a single listing for the Turtledoves Stand at $135. 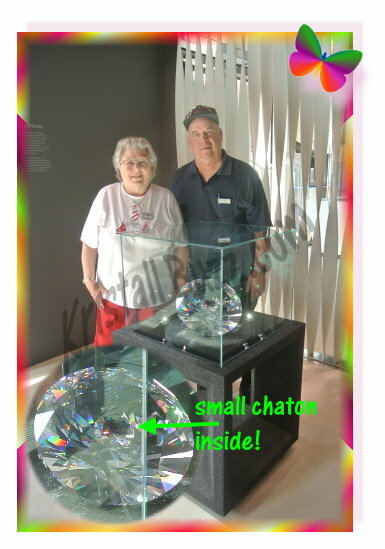 However, it would appear that this price may be more than most crystal collectors are willing to pay for such a fragile stand that does not really add anything to the overall appeal of displaying the Swarovski Turtledoves.